Karen’s 87-year-old mom finally agreed to have someone come in a few days a week to help with housekeeping, meal preparation and grocery shopping. Karen’s been asking her to accept help for months — ever since her mom’s heart problems began making it difficult for her to stand long enough to prepare a meal, let alone clean the house. But her mom kept saying that she didn’t want a stranger in the house and she didn’t want to move from her home. She finally relented, however, when she fell and landed in the emergency room with a broken wrist. Although relieved that her mom will accept help, now Karen’s challenge is to find a qualified, diligent, kind, trustworthy person with whom her mom will feel comfortable in her home. What’s the best way to find the help she’s seeking? Worrying about the safety and health of your frail or ill older family member at home can consume your thoughts, making it difficult to focus on other important demands in your life. Studies show that most adults — nearly 79 percent — who need long-term care live at home or in community settings, not in an institution. And, while as many as two-thirds of the caregivers in one national study used unpaid caregiver help, more than one-third used paid help. The number of individuals using paid long-term care services in any setting (for example, at home, in residential care such as assisted living, or in skilled nursing facilities) is estimated to double from 13 million in 2000 to 27 million people in 2050, due to the growth in population of older people who need care. What type of care is available? Generally, two types of care in the home are available: home health care services and in-home care services. 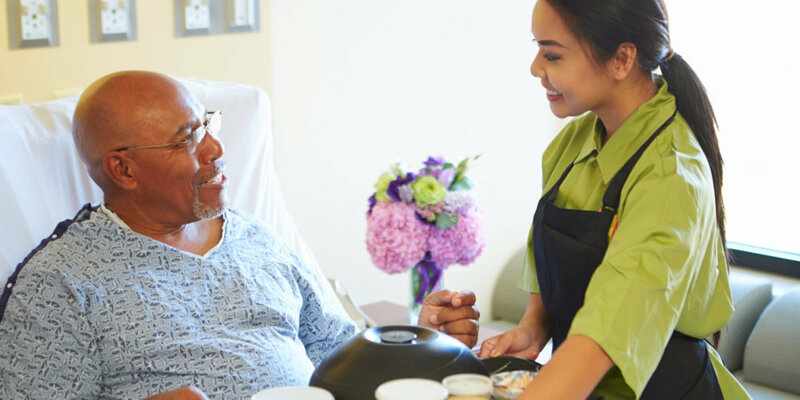 If your family member requires regular assistance with health care needs, home health organizations and skilled nursing agencies may be the best choice for you. They can provide a range of medical services, such as medication assistance, nursing services, physical therapy and medical social services to coordinate care among health care providers. Medicare, Medicaid, the Veteran’s Administration and a number of private insurance policies pay for some home health care services, with certain restrictions. For example, Medicare will cover limited home health care for home-bound beneficiaries who need intermittent skilled nursing or therapy services as prescribed by a physician. Many families, however, have to pay out of pocket for home health care services. If your family member needs help with daily activities and personal care, such as household chores, meal preparation or bathing, or is just in need of companionship, you likely are seeking in-home care services, rather than home health care. In-home care helps with everyday activities. The costs for these services and the eligibility requirements vary. Often, you will have to hire someone from an agency or an individual provider and pay out of pocket. In some communities, volunteer organizations may be able to help. While Medicare will not pay for these services, Medicaid (government health insurance for low-income people — this program may go by a different name in your state, such as Medi-Cal in California) covers limited in-home care or chore services for those who qualify. If your family member is age 60 or older, he/she may also be eligible for other government programs administered through the local department on aging such as transportation services, meal programs (i.e., Meals on Wheels) and limited in-home personal care and chore services. You also may be eligible for caregiver support services (including caregiver assessment and planning, respite, education). Should I hire an agency, an individual or both? At this point, you have the option of hiring an individual directly or going through a home care or home health care agency. In some states, publicly-funded programs may allow you to hire another family member to assist you in providing care at home. A personal recommendation from a trusted relative or friend is often the best way to find a quality paid caregiver or agency. Always ask the individual and/or the agency for references and take the time to contact these references. In the absence of a reliable personal recommendation, try one of a growing number of online private duty matching services online, contact your local Area Agency on Aging to ask for organizations who publish a Caregiver Registry or Nursing Registry in your community, or check with your personal healthcare provider for recommendations. If the worker is sick, a substitute can be sent. Can provide individuals with a variety of skills to meet varying needs (e.g., skilled nursing care, physical therapy, occupational therapy etc.). May be partially covered by Medicaid or private insurance. Often several workers are used, which can be confusing or distressing for the person receiving care. Less individual choice in workers. Ask the home care agency about their process for matching caregivers with clients. More expensive than privately hiring an individual. Ask for the service rates, as well as billing practices before signing an agreement. Services may not be offered in rural and frontier rural areas. A strong one-on-one relationship can develop between the worker and the person receiving care and their family, although this can also happen through an agency when there is a commitment to continuity. Usually less expensive than hiring an agency. You get to choose the person you think will be the best to provide care to your loved one. New options in some state Medicaid-funded, consumer-directed care programs allow people to select and manage paid home care workers. If the home care worker is sick, no substitute is readily available. Screening, hiring/firing, pay and taxes must be handled by you. May not be covered by Medicaid or private insurance. Will require time for supervision, training and guidance. A private Geriatric Care Manager can take on this responsibility for a fee. Transportation Assistance: Make a copy of the worker’s valid driver’s license and then be sure to check their driving record with the Department of Motor Vehicles. It is also important to evaluate the values and preferences of the person receiving care. He or she may be more comfortable with a home care worker who shares his or her cultural background and/or language. Cultural capacity such as prior training or experience working with a Holocaust survivor or LGBT community member may be important for your needs. The care recipient may have a preference for a male and female caregiver, particularly if the worker will be helping with personal care. (For more information, see the Family Caregiver Alliance Fact Sheet on Making Choices About Everyday Care). There’s nothing wrong with being picky about who you allow to provide care for your frail or ill older family member. In fact, we recommend it. If you’re using an agency be sure to ask what method they use to background check their employees. If you feel uncomfortable about a home care agency’s procedure for screening caregivers, it may be best to trust your gut and use a different provider. Stories fill the news about aides who take advantage of, rather than care for, a parent, spouse or other family member in their home. This abuse can be physical, emotional or financial. One way to avoid becoming a victim is to conduct your own attendant background check. Background checks include a review of past job performance; verification that the information provided to the family caregiver is accurate; and assurance that the attendant can do the job that the caregiver needs to be done. When you’re paying someone to provide in-home care, you’ll want to be sure they address the tasks they are hired to do. Prepare a detailed list of responsibilities. Be sure to consider what your overall goal is for the care, such as safety, social support, compliance with health care tasks, and your peace of mind. You will want to review and gain agreement on a written care plan with your care provider prior to the first visit. Some families find comfort using technology to help monitor care from a distance. For example, a camera system makes it possible to monitor activity in the home by computer or phone while you’re working or at the grocery store. The number of users remains small, though, and ethical issues about privacy and trust should be discussed before a system is activated. If you are facing a crisis, consider temporarily hiring an agency to allow you enough time to consider your options and ask the right questions so you can feel more confident about who you can trust with the care of your family member. Accepting help from a paid care provider can be a major change for any family. Having a new person in your home, so intimately involved in your family’s life, is truly an adjustment. But a skilled, loving and dedicated helper can make a difference in everyone’s well-being, can delay premature placement in a facility, and can allow you to work or carry on other responsibilities, secure that your loved one is in good hands. Connects older Americans (60+) and their caregivers with the local Area Agency on Aging, which provides information about local aging services, and community-based organizations. An online tool that provides detailed information about Medicare-certified home health agencies across the country. Provides an online resource to help consumers find home care providers in their state and local area. Leah Eskenazi is the operations director for Family Caregiver Alliance, based in San Francisco, Calif.